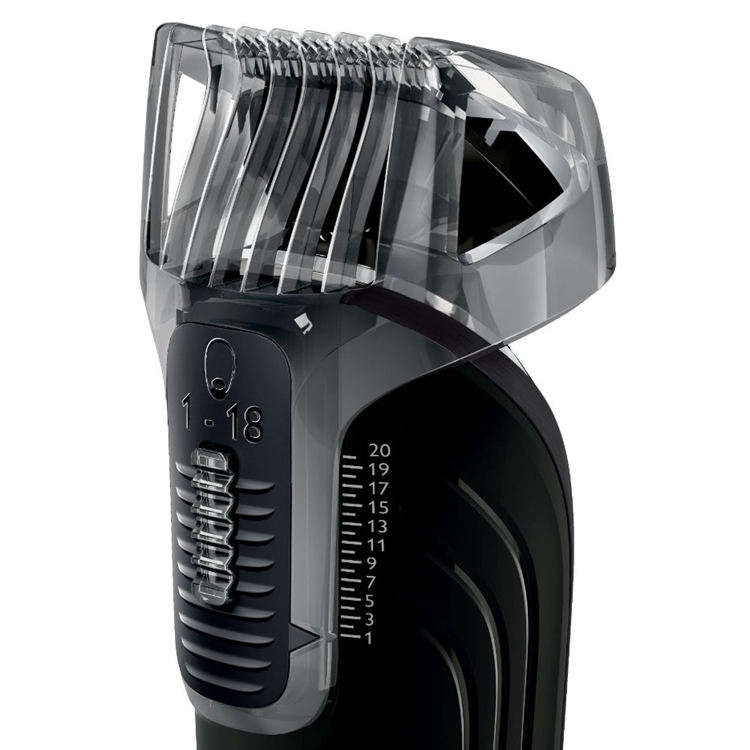 The Philips Norelco BT5275/41 5100 Beard Trimmer an electric nasal hair and beard trimmer that can take care of both wet and dry hair. It can deal with hair that does not want to come off because it is a high-performance device. It also has the property to clean the ear and nose hairs. It comes with the option for altering the length settings. It operates on a rechargeable lithium-ion battery and accompanies a beard comb, power adapter and a cleaning brush. 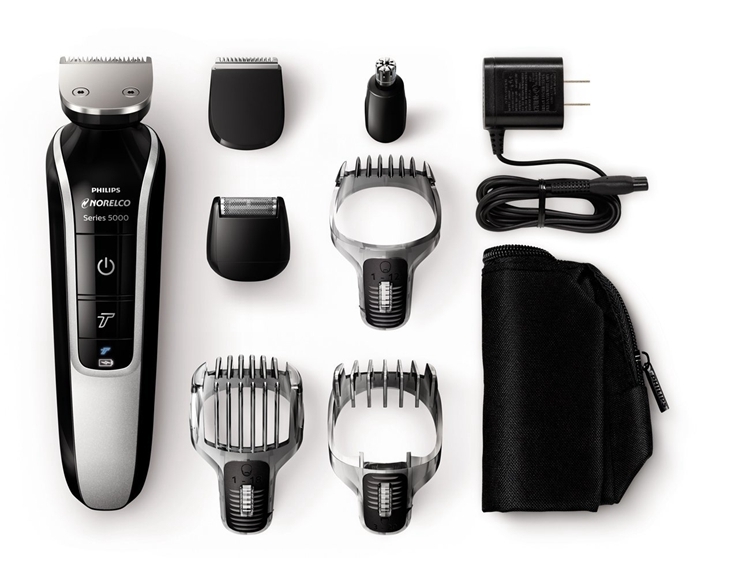 Just like all Philips Norelco beard trimmers, it comes with a warranty of 2 years. The device comes with dual sides for a high-powered trim and a comprehensive cutting of hairs that are unreachable by a normal trimmer or razor. One side is narrow that is for hairs of the ears and nose. The other part is the wide trimmer that is appropriate for thick hair such as the neck hair, beard and sideburns. 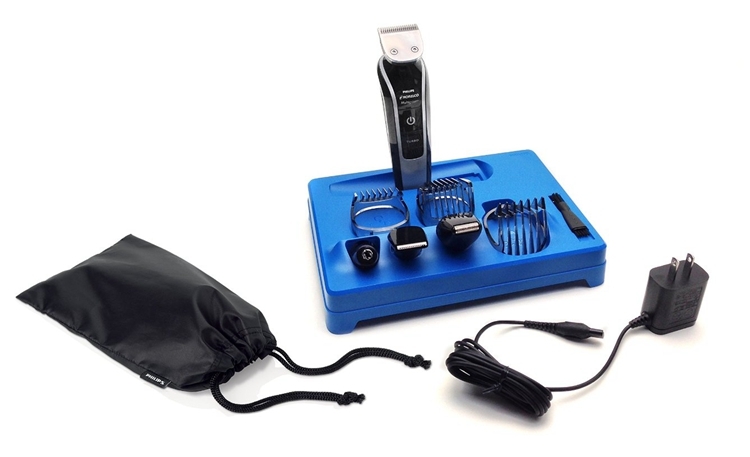 The electric beard and nose hair trimmer claims that it comes with self-sharpening blades that are manufactured from fine chromium steel which makes it durable and strong. Additionally, it goes with rounded blade tips to stop skin irritation. If you are someone with skin issues, this is the right choice. 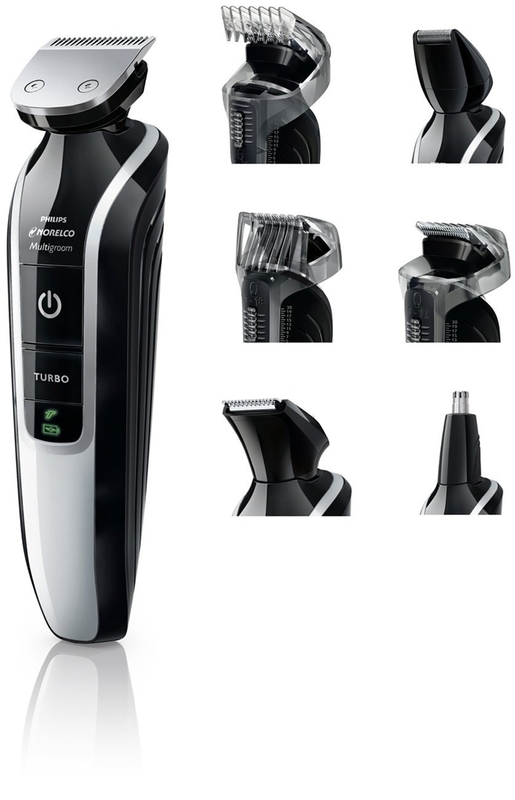 Individuals have the opportunity of picking the length of their beard with Norelco 5100 Electric Beard Trimmer since it comes with plastic beard comb that can be connected to the wide-size trimmer. There are 17 length settings to choose from and the alteration of the comb setting reflect the operator’s choice of length. It is easy to operate. They just have to simply select the chosen length and turn the changeable wheel. The wheel as a result locks in the comb to retain the comb in position according to their ideal length settings. The sad part is that many customers did not like the plastic comb’s quality. They think it is cheap and it feels like it will not last a long time. Detaching and attaching the comb makes the users lose confidence. Sometimes, the detaching is boring for them. It makes them lose their setting to get the comb out. This Norelco BT5275/ 41 5100 Beard Trimmer is equipped with a rechargeable ion battery that charges to full power within 60 minutes. It is an excellent feature to have in a beard trimmer since you do not have to plug it in for long hours. You can use it while it is being charged. Customers love this product because of the battery. It does not require that much charging. Another pro of this device is that it does not require much cleaning. Cutting nasal and facial hair is trouble-free with an electric trimmer. You can have an easy grip and its size is suitable for all users to hold. You have to give it a quick rinse under tap water to clean it. Most customers love the cutting system because of its two sides. They also like the battery life and the settings. People do not like the fact that it does not come with a travel pouch because many of the trimmer has that in the package. It also does not have a vacuum.